The Pavilion Page Builder replaces the default OpenCart module/layout functionality with an advanced system which allows you to control the entire page content and style. The concept is similar to Visual Composer for WordPress. Technically, the code is based on a extended responsive Bootstrap-like CSS grid system. 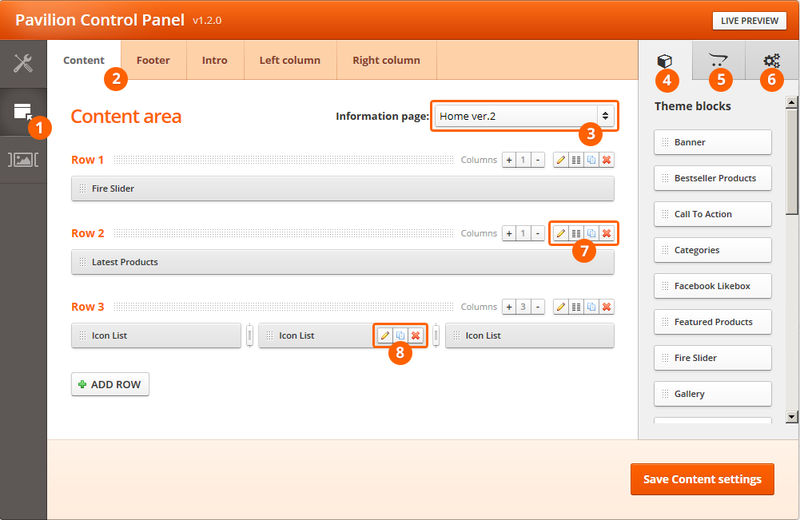 Every page on the frontend is divided into areas and you can insert custom content for each area. 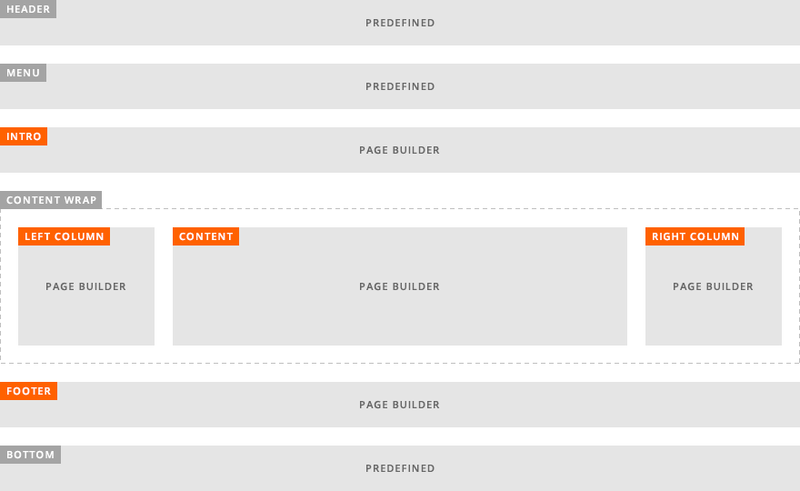 OpenCart uses layouts to define on which pages to show your module. Pavilion uses much more flexible technique called ‘scopes‘. A scope represents a page, or a group of pages on which a single area is displayed. For example the home page is a ‘single page scope’ and ‘All categories’ scope is responsible for every product category. Proceed to the next page to learn more about the website areas.